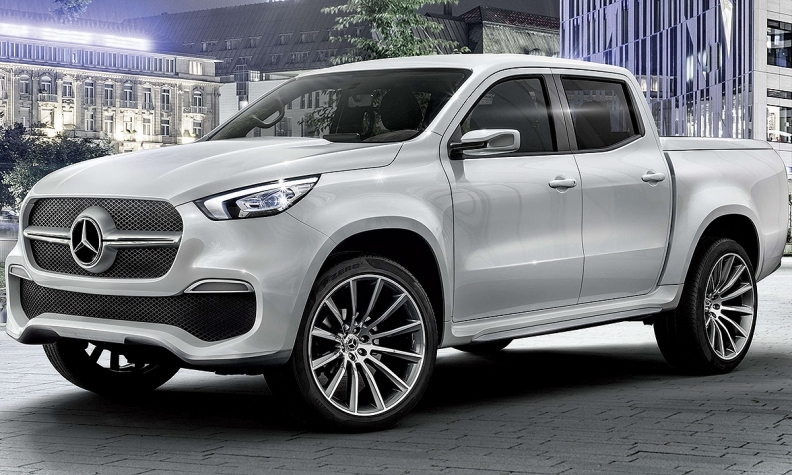 STUTTGART -- Mercedes-Benz Vans division is looking closely at growing demand in the U.S. for midsize pickups to determine whether there is potential to launch the X class in the market, divisional head Volker Mornhinweg said. However, a recent shift in the U.S. back toward midsize trucks is encouraging, Mornhinweg said at a news conference in Stuttgart on Friday. U.S. sales of midsize pickups rose 26 percent to nearly 450,000 in 2016. GM, Toyota and Honda have introduced redesigned or all-new pickups in the segment, and Ford plans to revive the Ranger later this decade. Mercedes would not be the first luxury brand to sell a pickup in the U.S. Cadillac and Lincoln have offered luxury fullsize pickups on and off since the 1990s, with some success, though neither brand markets a pickup today. The Mercedes X class will share underpinnings with the Nissan NP300/Navara and Renault Alaskan. It will be built by Nissan in Spain starting this year and by Renault in Argentina in 2018. The pickup is the latest product in an industrial alliance between Daimler and Renault-Nissan. Asked where Mercedes might build the pickups for sale in the United States, Mornhinweg said that its current production capacity in Argentina was unlikely to be sufficient to serve the U.S. market.